There are four varieties of preamplifiers available for position-sensitive detectors (PSDs). SEEPOS: This signal processing system for one and two-dimensional PSDs can measure positions at a resolution of 16 bits and speeds of up to 1 MHz. SPC PSD: In these small complete modules the electronics are either integrated directly on the back side of the PSD housing or are available as a small evaluation board without a mounted PSD. 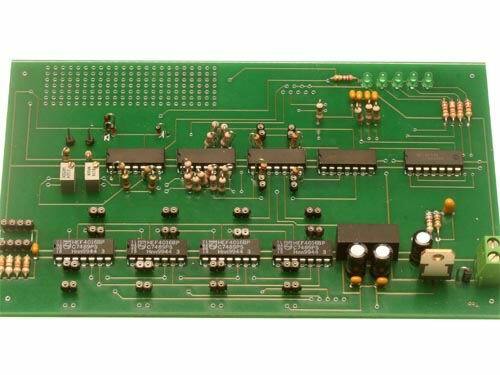 LC-301PSD, LC-301DQD: OEM module: Preamplifier boards for one and two-dimensional PSDs with three amplifier stages. More flexibility than in SPC evaluation boards. OT-301 Laboratory units: Flexible laboratory unit for PSDs, differential and quadrant diodes. Seven amplifier stages. 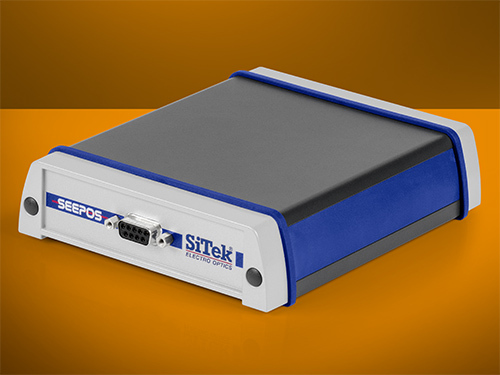 With SEEPOS, SiTek offers a signal processing system for one and two-dimensional PSDs. With this system, positions can be measured at a resolution of 16 bits and speeds of up to 1 MHz. This is possible across a large power range – from the nW to the mW range – both for DC applications and with a modulated light source. All parameters, such as PSD bias voltage, amplification, the use of analog or digital filters, etc., can be easily set and monitored with the software included in delivery. The beam spot on the detector is shown continuously on the monitor in the XY direction; the fluctuations in X-t and Y-t are also graphically represented. Optimized plot algorithms ensure that all data can be visually represented in full speed via USB 2.0 at the computer. SEEPOS is suited for all commercially available PSDs and designed for both skilled PSD users and beginners. To carry out position measurements more easily, small and compact PSD modules (PSD Holder MH01) are available that are connected using only the DSUB9 connector that is included in delivery. SiTek’s SPC PSDs can also be supplied with an evaluation board, which makes the detectors much easier to use. The detector is mounted onto a small PCB. All input and output signals are connected by a 14-pin plug. Amplifier boards that are particularly easy to use and very flexible. The integrated timer allows the direct connection and synchronization of a laser/LED in order to generate the light spot which is to be positioned. To adjust to the intensity of the light source, the transimpedance amplifier (TIA) has three levels of operation. Customer-specific solutions are also available. The OT-301 is used in signal detection and signal processing. 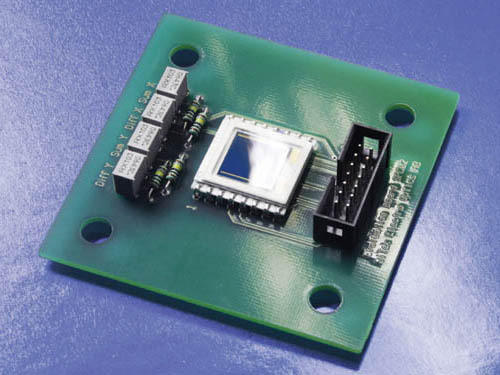 The versatile position sensing amplifier is an inexpensive four-channel amplifier system for all one and two-dimensional position-sensitive detectors as well as dual and quadrant detectors. The suitable OT-302 display module contains a display for easy readout and an RS-232 interface to easily adjust individual parameters.